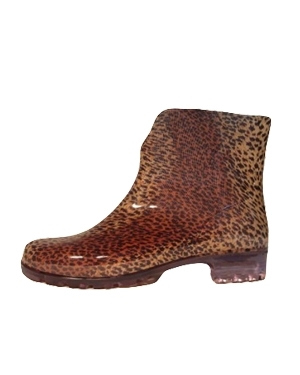 Elegant shorter gumboot with Dark Brown background using the light browns to pop out the leopard print. Ankle boot for easy slip on and comfort form fit for all day wearing. Excellent Italian made boot.